When it comes to anti-aging skincare, what do you typically think of? Infomercials with a celebrity spokesperson might tell you expensive lotions and pricy serums are the secret to the fountain of youth, but it’s actually much simpler (and much more cost effective) than that. The truth is, anti-aging starts from within, and the nutrients you put into your body will determine the glow and elasticity of your skin. Incorporating these anti-aging superfoods into your diet will keep you looking young and fresh for years to come. Dry, dehydrated skin not only ages you, but acts as your body’s way of crying out for moisture and nourishment. For this reason, it’s no surprise that nutrient-rich olive oil has been a best kept beauty secret for centuries! Olive oil is packed with anti-aging properties, such as skin softening vitamins B and D, omega-3 fatty acids, and good cholesterols. As your skin softens it will be able to retain more moisture, giving your skin that coveted healthy glow. Serving suggestion: Substitute butter and margarine with olive oil for several weeks to easily introduce larger quantities into your diet. 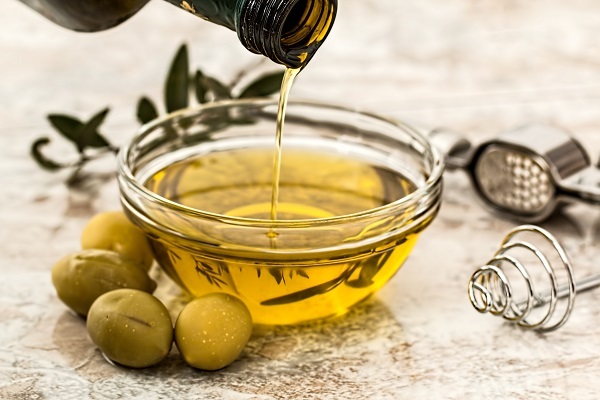 If preferred, olive oil can be taken by the teaspoon before meals (three times maximum per day), or warmed and applied directly to the skin as a mask. Facial redness can be caused by years of sun damage, burns, or inflammatory diseases such as rosacea and psoriasis. 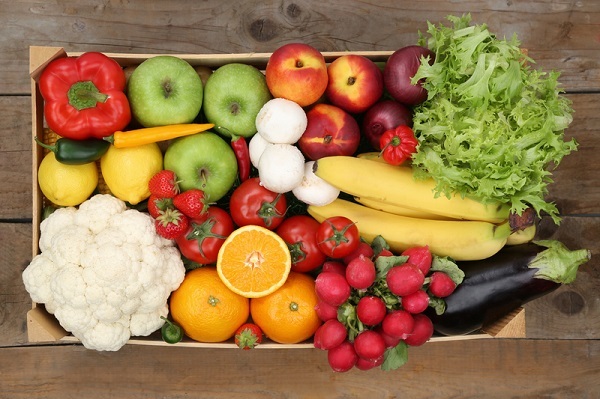 While there is no catch-all cure for the wide variety of causes of skin redness, incorporating a colorful assortment of fruits and vegetables into your diet can help ease irritated skin. Fruits and vegetables have earned their place on the list of anti-aging superfoods because they are packed with antioxidants. These antioxidants work to reduce the damage caused by harmful free radicals, which then reduces inflammation and alleviates skin redness. Serving suggestion: Different fruits and vegetables serve different purposes, so put together your personal fruit salad or veggie platter based on which of these anti-aging superfoods will best fit any additional concerns. Look for vitamin A-rich orange foods like cantaloupe and carrots to soothe and repair damaged skin tissue. If rebuilding collagen is on your list of skin care must-haves, opt for vitamin C loaded broccoli and kiwis. Fine lines and wrinkles getting you down? Look no further than avocados! This creamy, savory superfood was deemed the “most unique anti-aging food” by LA Healthy Living, and for good reason. Vitamin-packed avocados are filled with a wide array of skin saving nutrients, but their most notable benefit is wrinkle reduction. Avocados make the list of anti-aging superfoods because they are vitamin powerhouses containing more vitamin A and vitamin E than any food on earth. 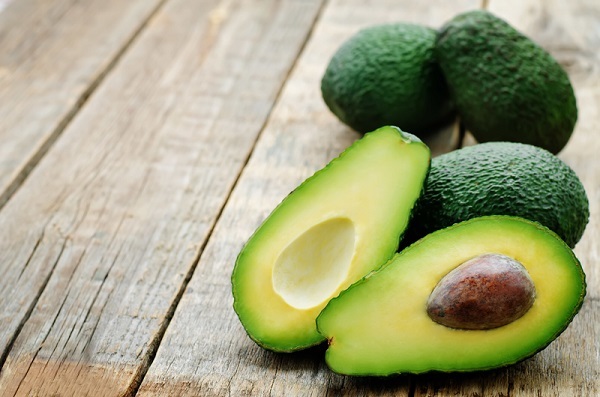 The vitamin A in avocados promotes sebum production, which activates a protective layer of natural oils on the skin and protects against wrinkle-causing free radicals. Vitamin E also helps to block free radicals, while also boosting cell regeneration and collagen production to plump wrinkling skin. Serving suggestion: Though they are good fats, it is important to remember avocados are fatty and should be eaten in moderation. Add avocado slices into a salad, whip up some tasty guacamole, or treat yourself to a day of pampering with an avocado face mask. Watermelon is more than just a delicious snack on a hot summer day! Sun spots are one of the most visible signs of aging skin, but incorporating watermelon into your diet could be your skin care secret weapon. 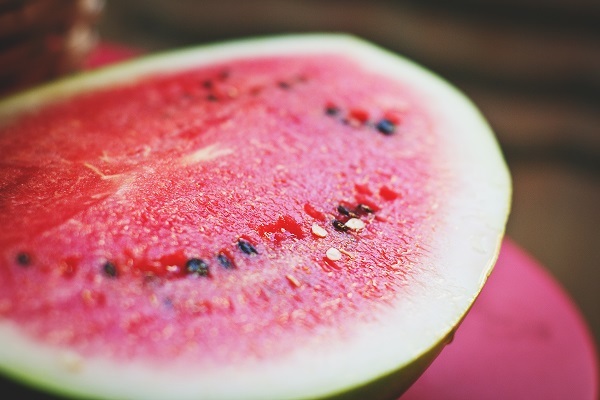 Watermelon is filled with lycopene, a powerful antioxidant that acts as a natural layer of UV protection. The sunblock-like properties of lycopene help to prevent against the sun’s harmful rays, which can damage and discolor the skin even on cloudy days. Serving Suggestion: Even though watermelon is a summertime staple, remember that sun protection should be a year-round precaution. On top of protecting your skin from developing sun spots, watermelon serves as a healthy way to satisfy your sweet tooth. A slice of watermelon is always refreshing, or kick it up a notch by blending watermelon cubes into a smoothie with some redness reducing fruits. If sweets aren’t your thing, try spicing up some watermelon slices with a sprinkling of sea salt. Everyone wants to age gracefully, and incorporating these anti-aging superfoods into your meal rotation is a great way to help your skin stay young and healthy. As with all dietary changes, it is important to first discuss with a functional medicine doctor who can work with you to create an anti-aging diet plan best fit for your lifestyle and medical history.